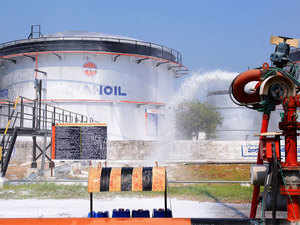 New Delhi: Vedanta reduced crude oil supplies to Indian Oil Corp for about three months until October even as the two negotiated oil rates for the year, and restored it to the officially-allocated level only after the government intervened, according to multiple people familiar with the matter. The government allocates all locally-produced crude to refineries based on their location, processing capability and transport logistics. All state-run and private oil producers and refiners must stick to these allocated quantities for the year. But producers and refiners are free to decide oil price formula between them, which is usually for 12 months and agreed to at the beginning of the financial year. But this year, the price negotiations between IOC and Vedanta stretched on for far too long, concluding only after the middle of the financial year, as per people familiar with the matter. While price negotiations were underway, Vedanta cut supplies to IOC, in a bid to mount pressure for a higher price, they said. Vedanta also supplies to private refiners, which usually offer higher oil rates compared to state refiners, leaving the private producer with an incentive to serve private refiners better, they said. "We are committed to all our customers and greatly value our association with them. Commercials such as pricing and volume, therefore, are determined with a view to achieve the most efficient results for all stakeholders,” said Sudhir Mathur, CEO, Cairn Oil & Gas, Vedanta Ltd.
Sources close to Vedanta said the production contract with the government mandates an oilfield operator to maximise revenue, which can’t be achieved by selling cheaply to a refiner. Higher revenue from oilfields also enhances government’s income, they said. After Vedanta cut supplies, IOC raised the matter with the government. Following this, the oil ministry officials intervened and got Vedanta to restore supplies to the officially-allocated level. Vedanta, controlled by mining magnate Anil Agarwal, is the country’s biggest private oil producer. It has been aggressively trying to expand its presence in the country’s upstream sector. It’s putting in billions of dollars in raising output from its fields. It recently obtained 41 exploration licenses of the total 55 auctioned by the government.